Made to fit a full-size hotel pan, these sheets are perfect for lasagna and can be cut into desired size and shape. Order by the pound. Approximately 2 sheets per pound. 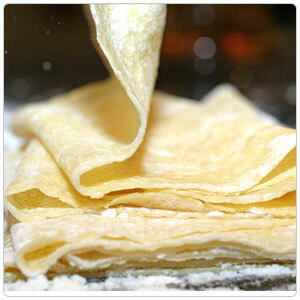 Cannelloni, Tortellini, Agnolotti, and other stuffed pasta can be made using these sheets.